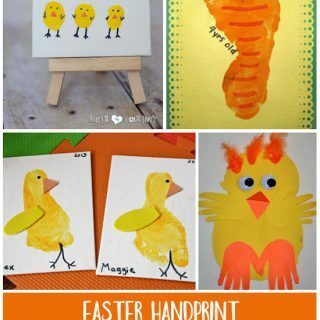 Kid-made gifts are so precious, especially ones made with handprints and footprints. There seem to be an endless amount of possibilities of what can be made with little hands and feet. Here are 16 handmade Mother’s Day gifts from kids that’s sure to melt her heart (or Grandma’s heart!). 1. Footprint Butterfly Flower Pot | Mama. Papa. Bubba. – I super LOVE this pretty flower pot every year when it comes down my FB feed. A must make for sure! 2. 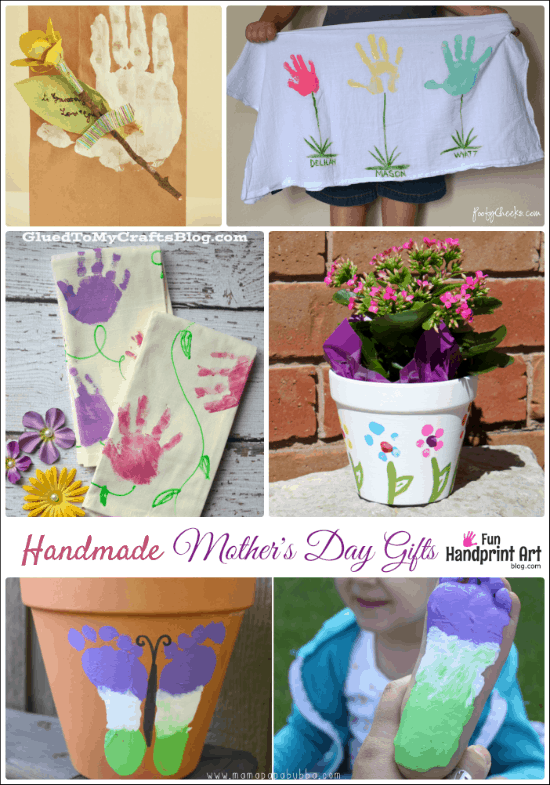 Grandma’s Little Bloomers Handprint Flowerpot | What to Expect – Another flower pot, but this one is made with handprints! 3. DIY Flower Pot Keepsake | The Inspired Home – Want to make a cute flower pot but contain the mess a little better? Use fingerprints instead! 4. Flowers in a Duck Tape Vase – Make a vase with flowers that lasts forever. Customize it with different patterns or use foam stickers to write I Love Mom! on it. 5. Hand-y Cloth Napkins decorated with Flowers | Glued to my Crafts Blog – These look awesome and I can’t wait to make a couple for myself! 6. HAND-made Mother’s Day Gift Wrap | Willow Day – Beautiful way to wrap a gift or treats for moms! 7. Baby’s 1st Mother’s Day Gift Keepsake | Paging Supermoms – Includes a free printable gift tag to wrap around the tea towels! 8. DIY Thumbprint Necklace | Mama Miss – Sweetest necklace + beautiful photography! 9. 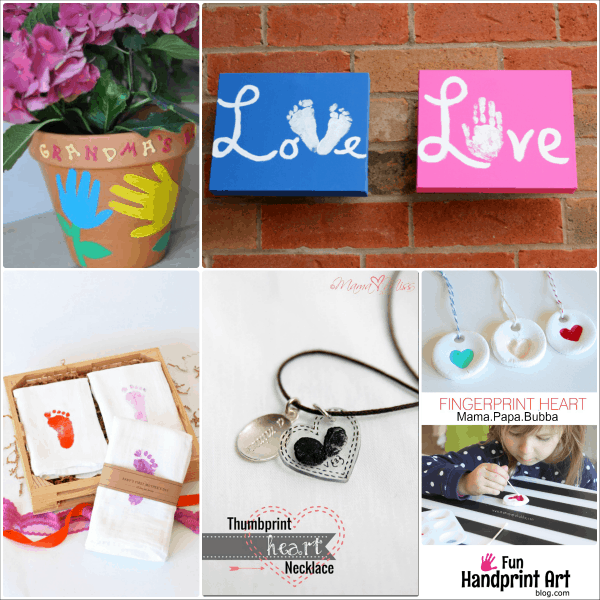 Fingerprint Heart Clay Keepsakes | Mama. Papa. Bubba. – These were made for the Christmas tree, but would be darling as a keychain, necklace, or anything else you can think up. 10. 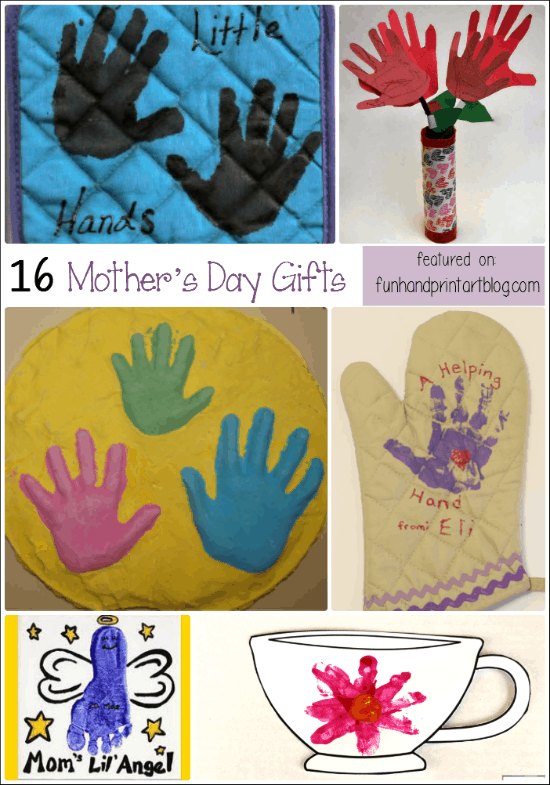 Helping Hand Oven Mitt Craft | Momma D and da Boyz – Check out the oven mitts they also made! 11. Mother’s Day Love Canvas | The Inspired Home – Besides being a keepsake, it looks great hanging up as decor! 12. 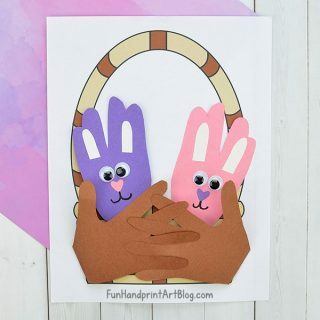 3D Hand Impressions Tutorial | 123 Homeschool 4 Me – Love that she made it as a sibling keepsake! 13. Printable Teacup Craft for Moms | JDaniel4’s Mom – Decorate it with fingerprints. Includes a cute poem! 14. Handprint Tea Towels | Poofy Cheeks – This turned out so pretty! 15. Little Hands and Little Feet Potholders | This reminds me that I need to make matching ones with my daughter. These were made with my son when he was a toddler. 16. Mom’s Lil’ Angel Footprint Tile | Grandma would adore this too! See our printable Mother’s Day craft templates here! Thank you for including my Mother’s Day teacup craft in this amazing round up!